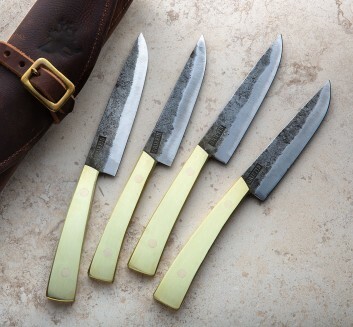 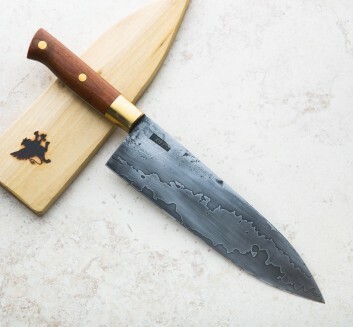 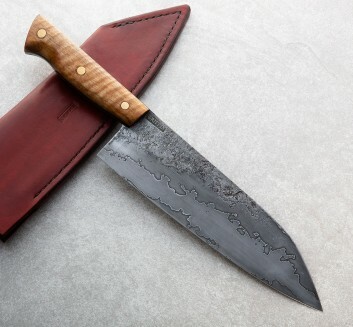 A talented bladesmith and artist, Will Griffin spent a decade cooking professionally in New York City where his admiration for fine kitchen cutlery developed into a desire to create his own handcrafted culinary tools. 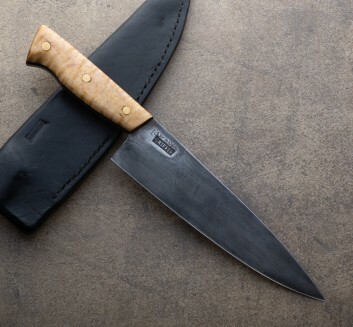 Forging by hand at his Red Hook, Brooklyn studio, Will designs and builds handmade chef knives, table knives and other kitchen and dining necessities using simple, high-quality materials and traditional techniques to produce function-first tools with a look and feel all their own. 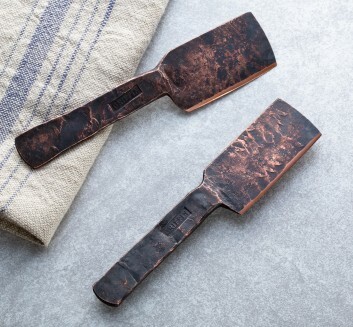 Experimenting with low-layer damascus patterns, simple, ergonomic handle shapes and raw materials like copper, brass and locally sourced woods, Will's approach to his craft is one to be admired.